The tub gurnard is a reddish fish with a spiny armoured head and blue pectoral fins. The fish can also be called by its Latin name, which is Chelidonichthys lucerna. The tub gurnard lives in the eastern part of the Atlantic Ocean, which is also known as FAO fishing area 27. 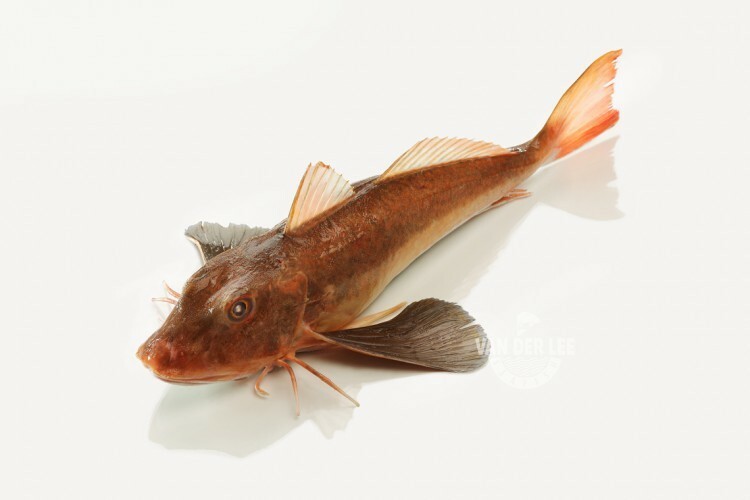 The tub gurnard can be found in the southern part of the North Sea and the Mediterranean Sea. Since the North Sea lies next to the Netherlands we are able to catch our gurnard ourselves with our own Dutch fishing fleet. After the tub gurnard is caught we immediately freeze it to keep the freshness. After all, fish tastes the best when it is still fresh. As a supplier we have gurnard available in all sizes. We sell our gurnard whole and with its head still on. The tub gurnard has firm and white meat and tastes quite tender when it is cooked. Since the fish has a lot of fish bones and some sharp spines it is the best to remove them before you eat the fish. Tub gurnard is very nutritious and it is also quite low in calories. For example, one hundred grams of tub gurnard contain around 82 calories. The fish is also high in protein and B vitamins, which is the case with every fish product. The fish does not contain any carbohydrates, unless you bread or batter it of course. We mainly export our gurnard to catering industries in Italy since the fish is especially popular in the Mediterranean countries. However, gurnard is also eaten in other countries. Since gurnard has a meaty texture it is quite suitable for curries and stews. Gurnard is also often used in a bouillabaisse. Some people like to smoke the gurnard or to grill the fish on the barbecue. When you grill the fish you can season it with herbs, salt or pepper. This will make the fish taste even more delicious. You can also serve the gurnard with mussels and a risotto made of tomatoes, oranges and olives, which will make a perfect Mediterranean dish. But be careful that you pay attention when you prepare your gurnard since it can dry out very easily when it is exposed to high heat.